For a brief moment last night, Verizon posted details for a Pixel 3 and Pixel 3 XL deal that will likely go live within the next couple of hours after Google’s fall hardware event and could land you a free phone, as well as a free Pixel Stand. 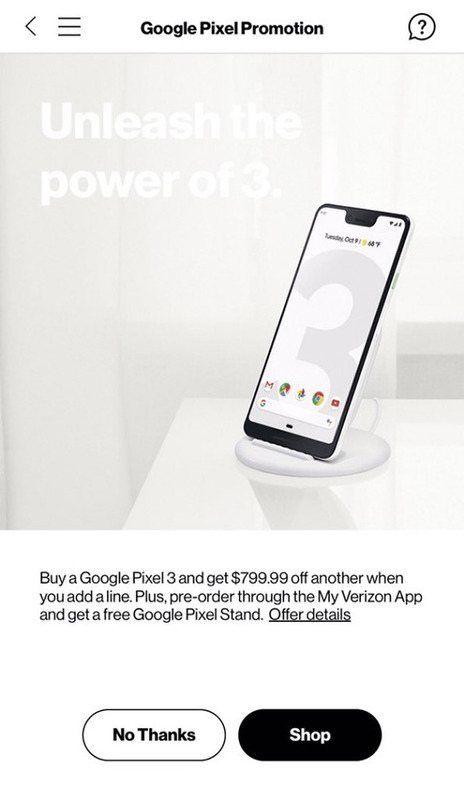 The deal that has (apparently) since been pulled from the My Verizon app, says to “Unleash the power of 3,” and that if you buy a Pixel 3, you’ll “get $799.99 off another when you add a line.” Additionally, if you pre-order, you’ll get a free Google Pixel Stand, the new wireless charger from Google that we expect to be announced alongside both Pixel 3 phones. 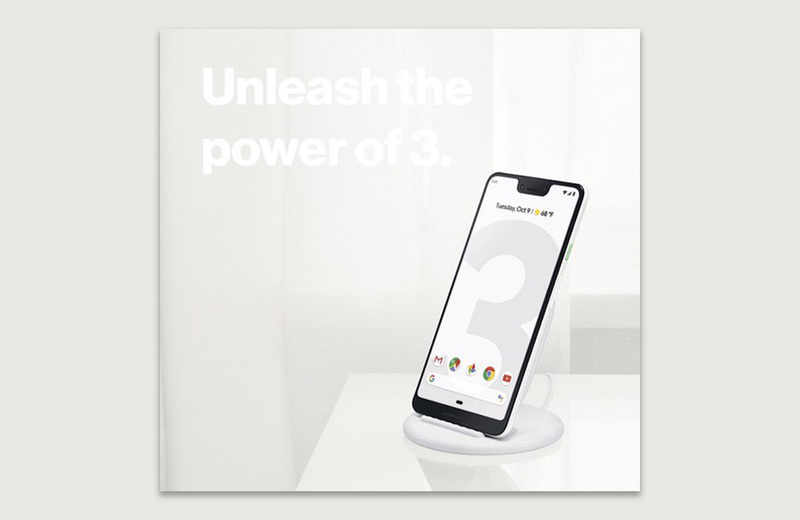 As you can see from the imagery here shared by a reader of ours (and at this reddit thread), we have a picture of the Pixel 3 XL, but our assumption is that this promo will start with the base model of the Pixel 3 – like other Verizon promos – and give you bill credits to cover the second device (up to $799.99), then make you pay for any difference in higher priced models. If that’s the case, then we now have an idea of starting pricing for the Pixel 3, one of the few items that has yet to be leaked. And if correct, it sure looks like the Pixel 3 will start at $799.99 at Big Red. You may recall that last year the regular, smaller Pixel 2 started at $649.99 and the Pixel 2 XL started at $849.99. If the Pixel 3 is starting at $800, how much will the bigger 3 XL cost? $100 more? $200 more? Tough to say since we can no longer access that promo page and we’re expecting a couple of different storage options.